The iconic French Tea House has opened its first ever UK concession in Selfridges London. Stocking a vast array of unique French teas as well as the brand’s distinguished tea pots and accessories, Selfridges is the only place in the country to buy Mariage Frères. The one-of-a-kind counter also allows you to create your own bespoke loose tea blends and package it up as a the perfect gift or tea time treat. Packed to the rafters with wonderful teapots and some of the world’s best tea, Mariage Frères brings a distinctly Parisian edge to the elegant art of tea drinking in London. 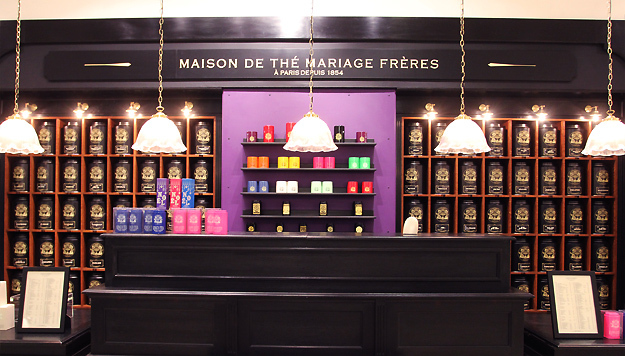 Find Mariage Frères on LG at Selfridges London from Monday 1 October.